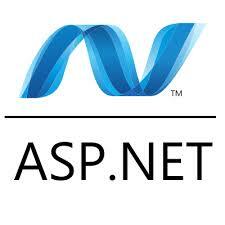 ASP.NET is part of .NET framework that is used to build dynamic web applications and web services in any .NET language. What are the different events which fire during page life cycle? How to decide on the design consideration to take a Data grid, data list, or repeater? Can you explain master pages concept in ASP.NET? Can you show a simple code showing file dependency in cache? How do we ensure viewstate is not tampered? Why do you need methods to be static for Post Cache substitution? Can you explain ASP.NET application life cycle? How do you write a Httphandler ? If client side validation is enabled, will server side code still run? What is the difference between ‘Server.Transfer’ and ‘response.Redirect’ ? What is the method to customize columns in Data Grid? How can we do single sign on in ASP.NET? ASP used STA threading model, what is the threading model used for ASP.NET. How can get access to cache object? What are benefits and limitations of using Cookies? What is the use of "@Register" directives? How can you create custom controls in ASP.NET? If a validation is very complex what will you do? What is SESSION and APPLICATION object? What are partial classes in ASP.NET ? How do I sign out in forms authentication? How do you upload a file in ASP.NET? Is Session_End event supported in all session modes? How do we access viewstate value of the current page in the next page ? In .NET 1.X how was the encryption implemented for config files? What is difference between Grid view, Data list, and repeater? How do we implement windows authentication? How can you cache different version of same page using ASP.NET cache object? What are benefits and limitations of using Hidden frames? How did you deployment and setup in ASP.NET ? What are HttpModules and Httphandlers? What is the concept of Web parts? Can you explain Forms authentication in detail? So how do you create master pages? How to use a checkbox in a data grid? Does the performance for viewstate vary according to User controls? How do we encrypt web.config files in ASP.NET? What is the difference between HttpModules and Httphandlers? How can we force all the validation control to run? How can I show the entire validation error message in a message box on the client side? How can we kill a user session? What is the difference between data grid and grid view? If cookies are disabled how will forms authentication work? How do I send email message from ASP.NET? What is the use of cache object? How can you use Hidden frames to cache client data ? Can we post and access view state in another ASP.NET page? How do you send an email using ASP.NET ? How do you write an HttpModule? How can we check if all the validation control is valid? What are major events in GLOBAL.ASAX file? How can you format data inside Data Grid? Can you explain membership and role providers in ASP.Net 2.0? What is the use of <%@page aspcompat=true%> attribute? What is Query String and what are benefits and limitations of using Query Strings?